The suspects are identified as 25-year-old John Headman of Pennsville and 26-year-old Jonathan Scofield of Carneys Point. SALEM, N.J. (WPVI) -- Two men have been arrested in connection with shooting two people and a popular food truck with a high powered pellet gun in Salem County. The incidents occurred on February 14 in Salem City and Pennsville Township. Police in Salem City obtained a video of a man being shot in the back in front of Pat's Pizza. A second man was shot in the arm in front of the Salem Motor Lodge. Police were able to obtain a vehicle description from the video. Pennsville Township police then say the vehicle stopped at a traffic light on Route 49. According to police, a suspect inside that vehicle fired a weapon towards the Zoagies sandwich trailer. There were customers in line, but no one was injured. However, police say the truck was struck by a bullet. On March 12, a Pennsville detective saw a truck that matched the description in the surveillance video. The driver, identified as Scofield, and the passenger, identified as Headman, were brought into police headquarters. Police say Headman was the shooter in the incidents. Detectives charged Headman with Aggravated Assault, Unlawful Possession of a Weapon, Possession of a Weapon for Unlawful Purpose and Criminal Mischief. Headman was remanded to the Salem County Correctional Facility with no bail. Scofield was charged with Conspiracy to Commit Aggravated Assault, Unlawful Possession of a Weapon, Possession of a Weapon for Unlawful Purpose and Criminal Mischief. Scofield was also remanded to the Salem County Correctional Facility without bail. 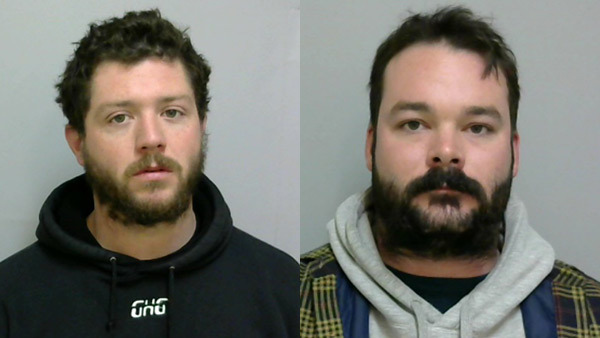 Following processing in Pennsville, Schofield and Headman were turned over to Salem Police. In Salem, Headman was charged with Aggravated Assault, aggravated assault by pointing a firearm, Aggravated assault with a deadly weapon, Unlawful Possession of a Weapon, Possession of a Weapon for Unlawful Purpose and conspiracy to commit aggravated assault. Both were remanded to the Salem County Correctional Facility with no bail.